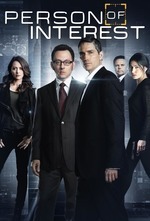 Reese and Shaw rush to catch up with Finch after he infiltrates a maximum security government facility in a bold and dangerous attempt to destroy Samaritan. *The Machine shows Harold what Team Machine's lives might have looked like if she had never been created. *Finch releases the Ice 9 virus which will destroy Samaritan, along with The Machine and the internet, apparently. *Fusco faces off with Agent LeRoux, the Samaritan agent responsible for the pile of bodies stashed in the tunnels. So what happens to the Machine / Samaritan laptops he has at HQ? I thought for sure one episode would end with the Machine laptop finally winning a match against Samaritan. In the recent episode of The Televerse podcast, the host was talking about her problems with how they wrote Root's death, and saying how it showed that what the writers care about and what she cares about are so different, that they failed to recognize how much more interesting Root, Shaw, and Root/Shaw are than Reese & Finch, and how that bodes ill for the finale being satisfying. I feel kind of the same after this episode. I think I could be ok with Team Machine getting Blake's 7-ed if The Machine continues on without them (with Shaw and Bear surviving? and I guess Fusco since the show doesn't need another orphaned kid left behind). But if the endgame is that Root's death only served to motivate Finch to go full cyber-terrorist to take down Samaritan and collaterally destroy The Machine and then go on living a tragic anti-hero existence, well, meh. I absolutely agree with Root and Shaw being so much more interesting. Also, I would happily watch a weekly show where Shaw just walked around and beat people up for an hour. Kinda weird to do the "It's A Wonderful Life" so close to the end. Of course the Rootchine knew the password (which, btw, is a reference to the copy of Sense and Sensibility that Harold wanted to use to propose to Grace with, according to the show people in some article I saw yesterday). Yeah, I also saw speculation that Dashwood is Harold's real last name, that his use of the book for the proposal was a sign that he was going to tell Grace the truth about his past. Did anyone else hear "8 letters" and immediately think the password was password? It would have been terribly bad but I would have laughed. I'm still holding out for the revelation that Harold's real last name is Forbin. The open was just perfect, Finch cutting a pasting a chunk of code. Did anyone else hear "8 letters" and immediately think the password was password? "The password is dashwood, Harry. There's a post-it note on your monitor." But didn't they already pretty much show us that Harold has been choosing bird names because of his father, because he could still identify birds by name after the dementia had stolen his memories of Harold? So agree with this; I only started watching again because of the Root/Shaw dynamic. I enjoy Finch's character but Reese, zzzzzzz, just do not care about his tortured psyche. Now I'm afraid that the highlight of the finale happened a few episodes ago when they all met in the park overlooking the bridge. My guess for the password was "relevant".